Jumbo rolls are highly efficient with increased productivity and reduced processing costs in high-volume printing environments. Examples include Statement Processing, Marketing Promotions, Insurance Policies, Utility Bills. 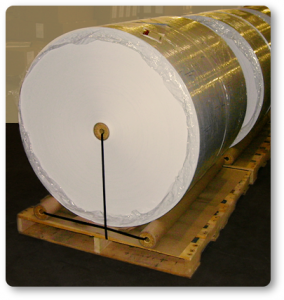 Direct mail houses use our pre-printed jumbo roll stock for imaging and mailing.